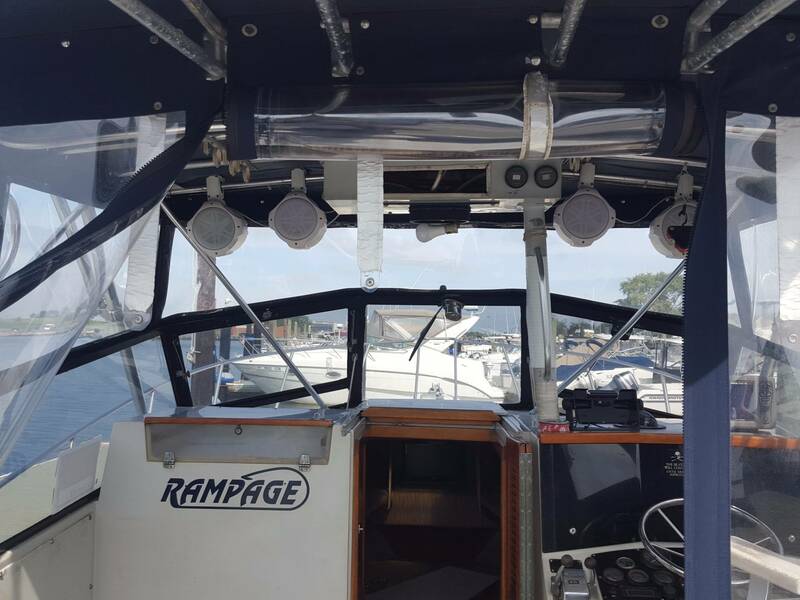 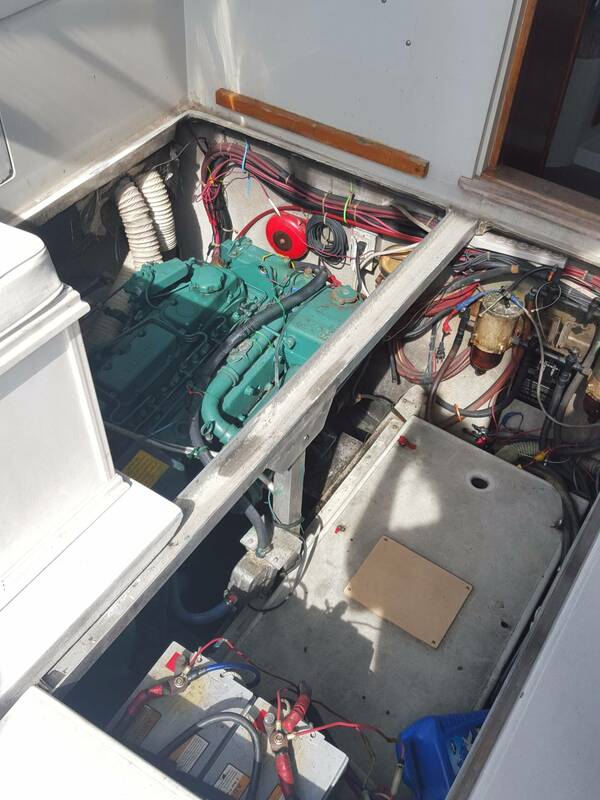 1987 31' rampage Sport Fish with twin TAMD 41 B Volvo Diesel inboards. 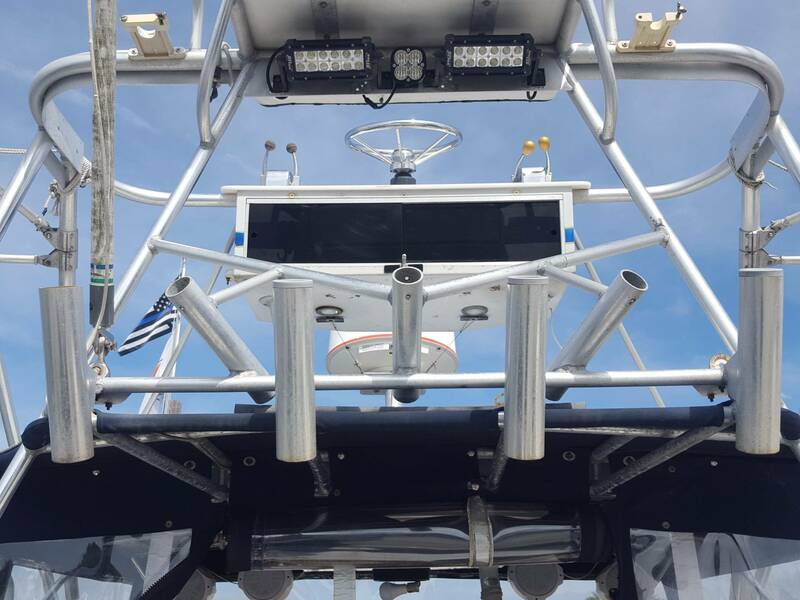 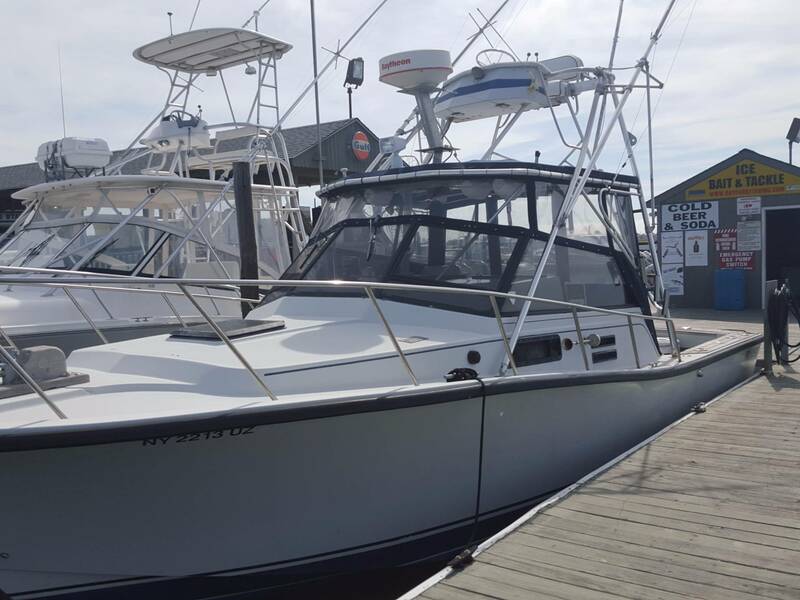 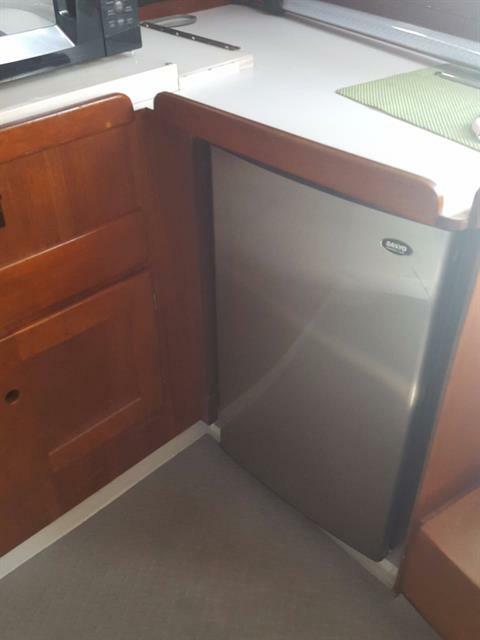 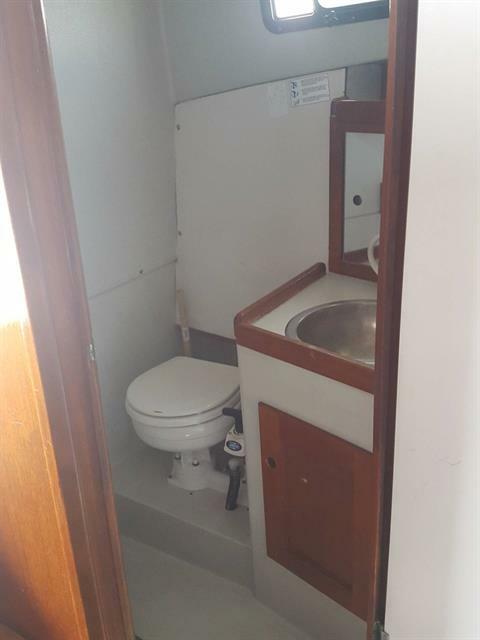 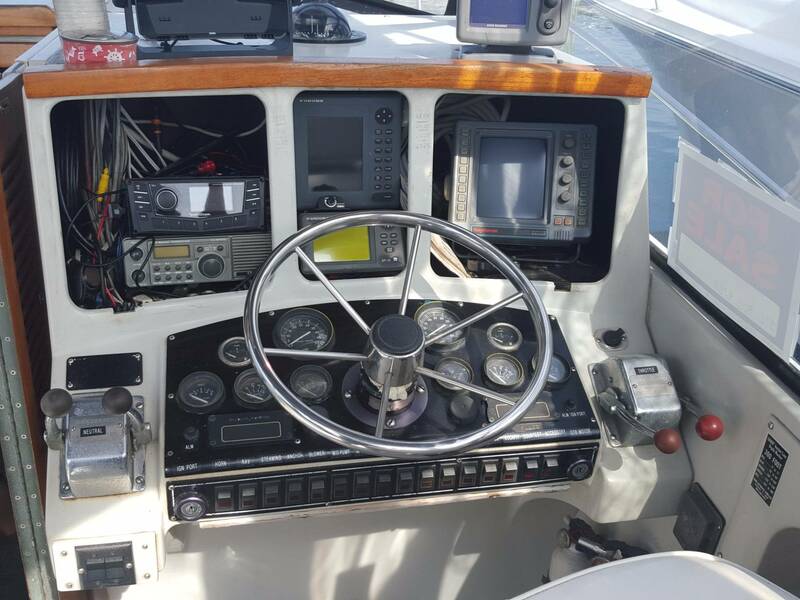 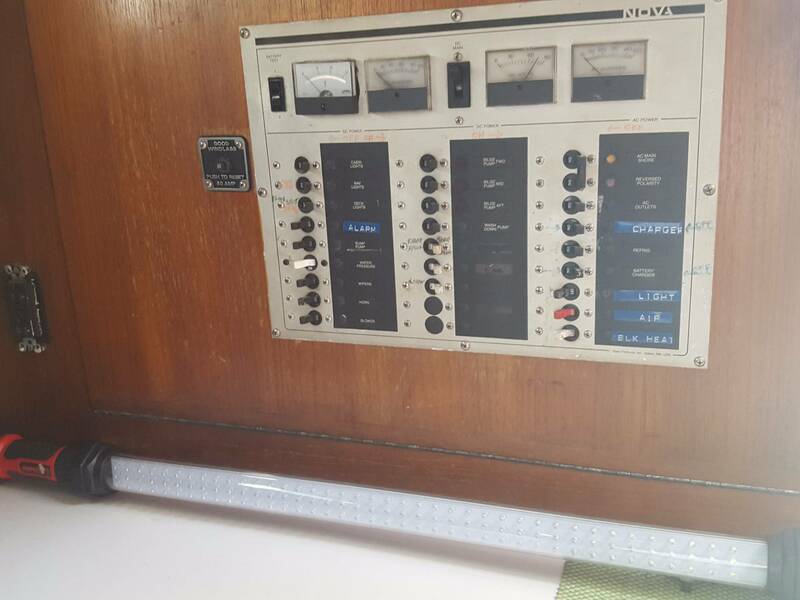 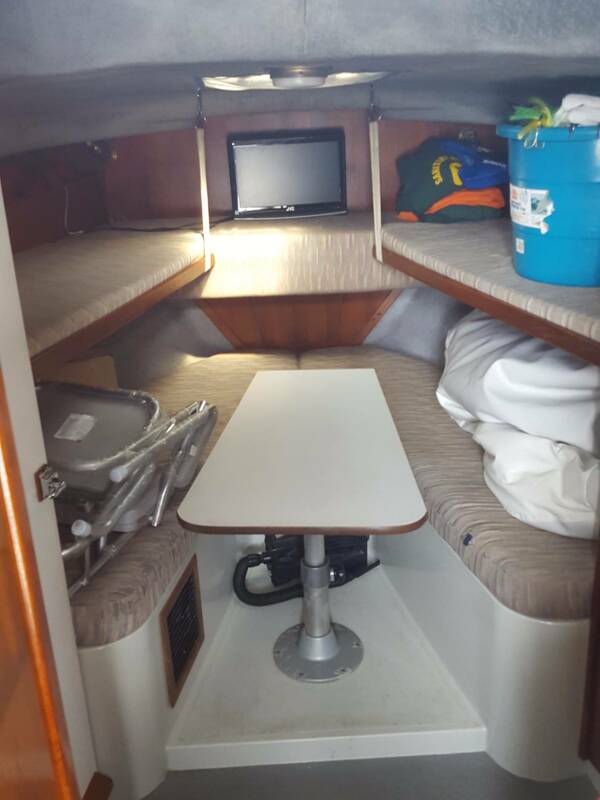 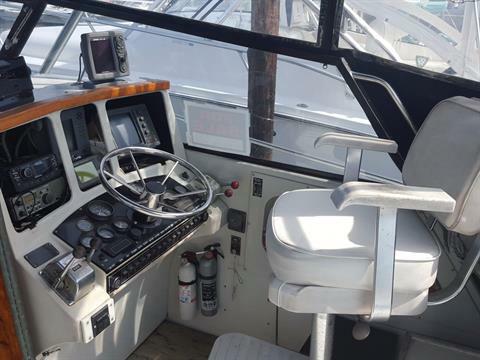 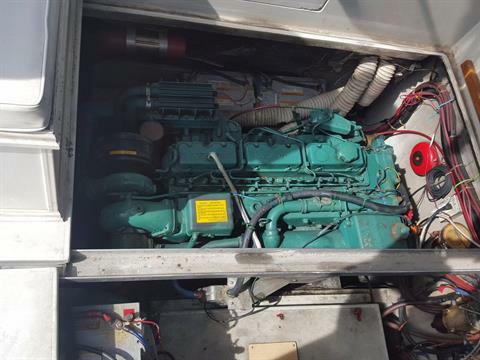 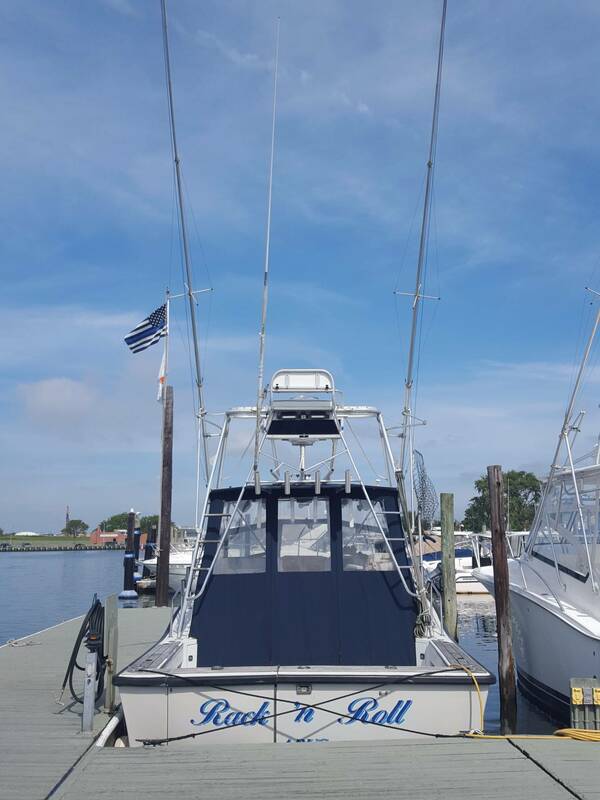 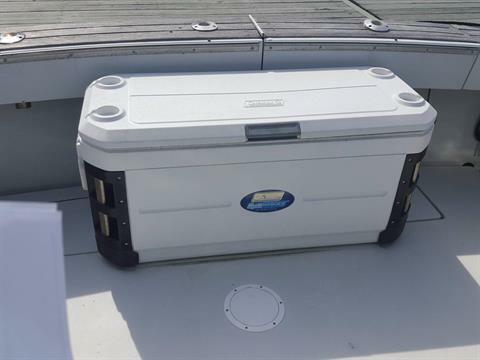 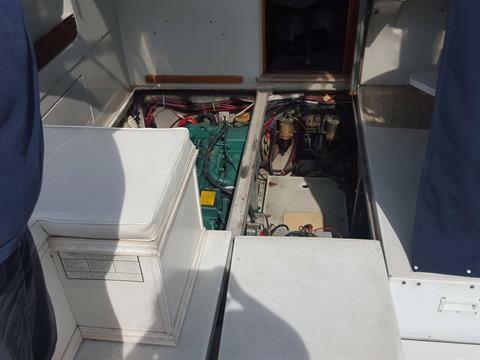 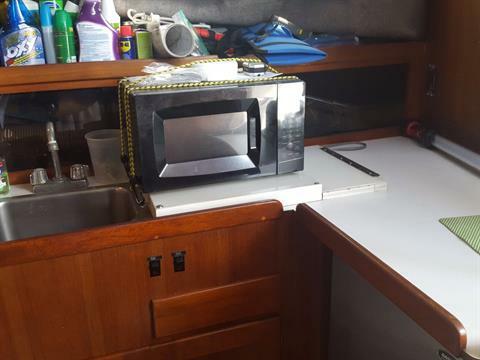 A/C, heat, upper station, anchor winch, dinette, 110 dockside power, VHF, depth finder, radar, GPS, galley with sink, stove, microwave, fridge, head, search light, sleeps (4) four, stereo, trim tabs, fresh and salt water washdown. 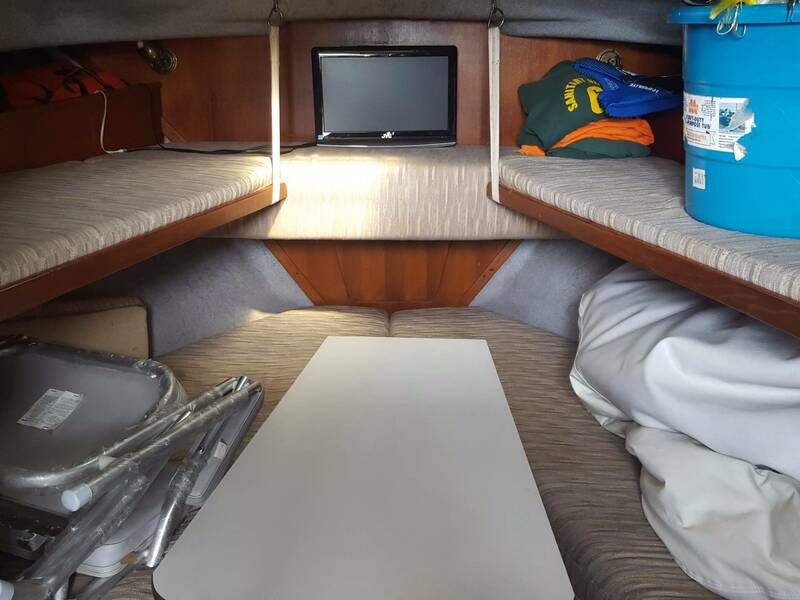 2770 hrs.